Let me help you create a social media plan and increase followers. Every day I will manage up to 4 different social media accounts: Facebook page, Twitter, Pinterest, and Instagram. I can schedule posts throughout the week, create brand-specific graphics, share blog posts, and share other business’ content to gain more followers. I can set up a social media automation schedule each week with Buffer, Hootsuite, and/or Tailwind. I can also create a social media calendar, open new social media accounts, promote posts, and manage Facebook groups. Take a look at the social media management packages and let’s hop on a call to discuss the social media plan your business needs. 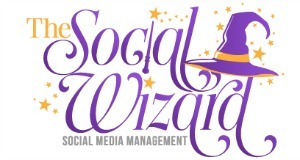 These social media packages include posting, content writing, and creating graphics. I also make a social media content calendar in Google Suite to keep your posts organized. Add-On the engagement and follower increase package to your social media posting. Engagement and follower increase is the most time-consuming process because you have to do it consistently and daily to see results. Don’t have your social media accounts set up yet? Not a problem! I can set them up for you fast and easy. I even post your first post and follow other people in your niche to get some follows back. ** Any extra work not mentioned in the packages you would like done will be billed at $30 an hour above the package price.